Our private guitar lessons include acoustic, electric and bass guitar. We have an excellent and varied guitar teaching staff who can teach everything from rock to jazz, classical to pop, and Spanish to folk. Our teachers are all very active performing themselves as soloists and in bands. Each guitar teacher has a college or university music degree and is well versed in the proper theory and technique a student needs, no matter whether they are interested in classical or heavy metal. Guitar lessons at our school are enhanced by the opportunity of learning how to play with other musicians in rock or jazz bands, or as a soloist in one of our recitals. 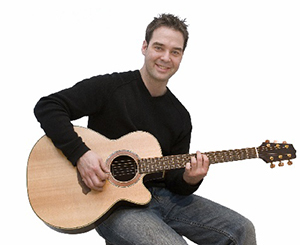 No matter what type of guitar lessons you are interested in, we have the teachers to help you. Students may begin guitar lessons at the Music Learning Center at age 5 or older. Younger students will need a smaller size guitar; our instructors are available to help you choose the proper instrument for your child to start on. Contact Us Now for More Information.